Considered using software to trace your family tree? Want to make your life easier by putting all of your information into one of the many programs that are available to buy today? 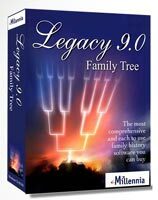 Well then, this post will give you a basic genealogy software overview of what you need to consider and think about when using a computer program for your family history research. I will start off though with discussing the many advantages of using a genealogy software program. Conveniently store your collected information. 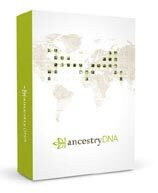 You can plug in all sorts of information about your ancestors into one of these programs, from name, dates, notes to even DNA test results. Easily retrieve the information that you store on your computer. Searching your software for your ancestor’s details can be easier with this method too. When you open up the program you can start to find your ancestors by either searching for their first name or surname. Search for ancestors by location as well. So you could find all your ancestors where one area was of significance to them, i.e. may have been born or married there. Sharing your genealogy research with others is easily done if you use software to store your information. 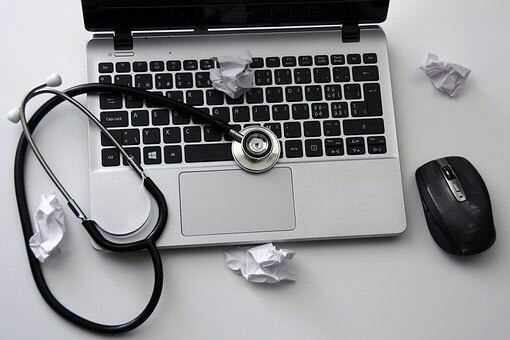 This because it is easier to email or send your digital information over the Internet than to try to transport your many bulky folders of notes and photographs that you may have. You can just send your relatives or friends what you know about your ancestors with a click of a button. You don’t have to lug whatever folders you may need to in the car to wherever you are taking them too. Who want’s to do that right? In today’s age of technology we can all share information effortlessly. We can upload and download our files with others by emailing or maybe putting it in the cloud. They can then effortlessly take the information from there. You may even want to share your research by creating a digital book or even put it up on a website. Some people even share their research in the form of family trees on a genealogy search website, such as Ancestry.com for example. By sharing your workload with others you will be able to research more of our family tree. You can save the time researching a particular line of your family tree by seeing what someone else has found out about it. You will need to verify what the person has found. You will need to check their sources to see if everything is correct. Can you imagine just how far you would get if you did it all on your own? You would probably be overwhelmed with all the information and leads that you need to chase up. You may even give up on your dream of tracing your family history. I have been able trace numerous branches of my family tree due to the help I have received from distant cousins. Incidentally before I started to research my family tree I did not even know that these relations even existed at all. So it was quite exciting to not only find out about my ancestors but also meet living relatives online as well. Anyway, I have digressed with the advantages of using genealogy software for your family history research. After reading this overview why not head over to the Top Ten Reviews site. There you will find a Top 10 Best Genealogy Software of 2018 guide. Produce Charts, Reports and More! You will also be able to produce useful charts and reports with your software program. These can be particularly useful for when you want to share information with others. Each software program has varying amounts of charts and reports that are available for you to use. So it’s worth checking which program is most suitable to you. 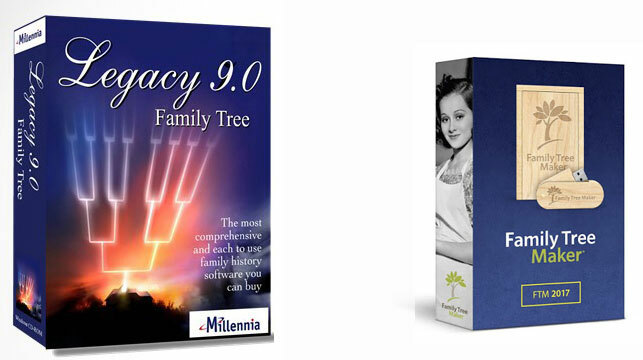 Legacy Family Tree offers the most charts our of the top five genealogy software programs that I have covered on this site. 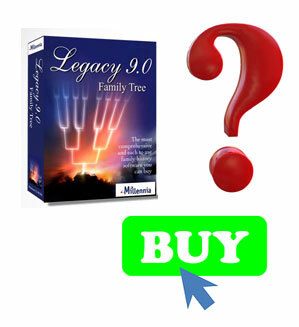 It is also the most popular choice to buy for genealogists as well. If you wish these charts and reports that you create can also be included into a family history book. If you are like me then you may want to write your family history using Microsoft Word. However, some of the programs on offer today offer you the capability to produce a book and add pictures, trees, relationship charts and more. That’s actually within the program itself. Create your very own family history book! I have personally written my own family history and have benefited from using genealogy software in this way. The many charts, reports and maps that I created were then put into my book. It just brought the book to life rather than having a dull read with nothing to break up the text. Creating charts has helped not only me but also others who may wish to read my book, these charts can show the relationship between me and my ancestors. So, these charts can show you the connection to your ancestor and help bring you closer to the individual. It is all too easy just to list names, dates and the usual family facts in a book. You can imagine that this can become quite boring and dull. Who wants to sit through that reading fact after fact but having no interest to grab your attention? When you include charts you can see how people are related to yourself. You could also try adding pictures of your relatives as this will help to bring their story to life. Apologies once again as I have seemed to have digressed from the topic on hand. When you share your information with other people you can limit how much that you are willing to share with them. You may wish to do this so that you can keep certain personal information private. This is particularly useful to protect your siblings and any living relative that wants to remain anonymous. We all want to find out as much as we can about our ancestors. Sharing our research with other people can help us learn a lot about our family history. We can see what someone else has found out about another branch of our family tree. This will obviously save you the time doing this, as well as the expense. But we shouldn’t be limited by the sensitive information that we have. What I mean is we should be able to select what we do and do not want to share. That way we can then happily send off what we know about our ancestors and your distant cousins can do the same as well. When building your family tree with any software it is always good practice to put in your sources. That way you will know where you got your information from and where you need to return to if you need to. Adding citations is a fairly easy process to perform with any genealogy software program. This will also help others if they are to continue your research. Using software can help you keep record of what information you already have. This is because your data can be conveniently organized and retrieved quite quickly. It can also be presented clearly and neatly. You can then take this information and build on it further. Would you rather sift through large folders and hand drawn trees which can be quite time consuming. Check out the Organize Your Genealogy Mega Collection to help you get your research in order. While researching your family history it is always tempting to switch directions and start to pursue a different branch of your family tree, (even before you have finished with a particular line). If you do happen to do this then please make note of where you left off so that you can return. You do not want to leave unanswered questions about a branch that you have left behind. One reason why you may do this is if you have encountered a brick wall. It is very important for you to backup your research from time to time. It can be very heart-breaking if your computer does crash and you have lost maybe years of research all in an instant. You will therefore need to backup your files on either a portable hard drive or flash drive. You may even wish to try an online service such as the cloud. Several of the genealogy sites today allow you to create your family tree through the use of a tree builder. You may though upload your tree that you have created on your software program. Other users can then access this information and use it to build on their own family tree. If you do refer to people’s trees then it is always important to check their sources as sometimes errors do creep in. It is far better to spend a little bit of time checking their facts as you will obviously not want to add any misinformation to your own tree. You may wish to write a book outlining your family history. You can create books and are reports with any genealogy software program. In your book you can add the charts that you have produced with your software and the information it contains. Doing so may highlight further avenues of research and thus help enrich your family history with more information. Please check out my How To Create A Family History Book post for further information on this. With any software there is always the possibility that upgrades will be available in the future. I advise you to keep checking for these updates to your software as these advancements may help you further with your research. As I have pointed out in this post there are many benefits by using genealogy software. You may wish to create charts, reports and maps while you research your family history and this can be done effortlessly with a software program. And as you can imagine it is far easier to use a computer program than to do this than with pencil and paper. Can you imagine each time you add a new name to your tree or need to make a correction? It would get quite messy after awhile, as well as tiresome for you. Be organized and work smarter! But whenever you are using such a program to research your family’s history you will need to be organized. By being organized you will be able to get the information quickly. You can also check in an instant whether you have the information at hand before you research a particular branch. After all there is no point re-doubling your research. It will cost you time as well as perhaps money. While I was researching my genealogy I was continually backing up my work. I would use at least three devices. One was my computer and also two other portable devices that I would use. So make your life easier and buy a genealogy software program! You will benefit greatly by being able to research a lot more of your ancestry. And so this will save you not only time, but also money as well as I keep mentioning. You will save money as the beauty of using such a program is the possibility of linking with genealogy search websites which contain many records. Through these websites you may find your ancestors and also probably distant cousins as well! I hope you enjoyed this brief genealogy software overview. If you have any questions or comments then please leave a comment below. Amazing Genealogy Overview! My grandmother has been working on a family history book to pass down generation to generation. This would be great to help her and eventually help me when I take over the “Job” She has gotten quite a bit together already but her organization and storage process isn’t quite up to par. Thank you for a great post and looking forward to sharing! Thank you for sharing my site and please check back for more updates. All the best with your genealogy research. Everyone wants to know their family history. You have provided good content and software to document family history. How does your system compare with something like ancestory dot com? And where does your software get all the data about families? Is there one central location that every system draws from? Lastly, how complete and accurate is your system and can the user make changes to i ? Genealogy sounds like a great idea, I personally come from a mixed family tree so it would be great to have our own story where it can be passed on from ages. Learning about who you are and what you are is actually a great opportunity to broaden up one’s minds and it helps us embrace diversity. Really cool review as always man, thanks for sharing this. That’s lovely that your father traced your family tree and that he created a book. It is great that he recorded that for you and for future generations. Depending on where you live it maybe hit and miss as to whether you will find anything that far back. When you use this software and connect to genealogy sites such as Ancestry or FindMyPast you may encounter other family members. I have been fortunate this way and have been able to trace my family back to 1600s on a few branches. Great article. Using software such as this one certainly makes the task of getting your family tree organised a lot easier. I did try to do this manually once when I was younger, and it didn’t take me long to give up. I think when I have some time on my hands again I may just try again. It would be interesting to find out more about our ancestors, especially 300 or more years back. Does the software help you to find information like this out? It can certainly help you look at and create your family tree easier than by hand drawing. With every household in America having some sort of ancestry history, It’s always interesting to know more about them, their background and just where they come from. Many of our ancestors who were here long before us and some may now have departed, you’ll be able to share their historical background through the working efforts of a genealogist. The study of family genealogy tree’s has been out for years and your site points out the importance of having that knowledge within one’s reach. When I was growing up, I don’t think there was any serious research on the subject of genealogy. It would have been an amazing thing to know. It could be someone famous, as in the case of my deceased wife. She discovered Wild Bill Cody was her great-great grandfather. With the ease of today’s technology, knowing our family tree adds additional value in our lives and strengthen our family connection. Reading your comment it brought my attention to the genealogy books that people have written and have donated to family history societies and archives. There you can read about people’s lives and learn how to write your own. That’s great that your wife discovered an ancestor with so much importance. It can be something to write about. Owain, I come from a huge family and I often wonder how my family came to be. Honestly, I’m blessed to have the family that I do have. However, I can’t help but to wonder about how, as my grandfather would call us, “little Israel” came to be. So I, for one, think that it’s a great idea to promote this software so people can dig up their roots. All the recent genealogy software programs can help you build your family tree. Not only can you put in your information but when connected with genealogy sites they will offer you ‘hints’ as to to how to further trace your family tree back. This article – Will help you decide which program to use for your genealogy research. I had never heard of this software before! Does it just help you organize your family tree as you work through it? I know it’s a lot of information that you’re dealing with. Does the software give any helps or tips on research? Or is it simply information storage? It looks like a great program! This is just an overview of what to expect from genealogy software as there are quite a number of programs available for you to chose from. Please check out Best Genealogy Software Programs – Your Top 5 post my best five choices. They can not only store your information, but they can help create charts, reports and books. Also, when linking with genealogy sites such as Ancestry they can provide hints on how to further your research. Thank you for writing this interesting article. I especially like the idea of writing a family history book. This is something I need to do for my children. While researching my mother’s family online, I connected with a distant relative. His grandfather is the half brother of my mother’s grandfather. We had several interesting conversations about our family. He sent me a picture of my great great grandfather! Such a treasure! It is wonderful that you connected with a distant relative. I myself have made a number of connections through this way. You maybe interested in Top 20 Family History Interview Questions. Thanks so much for your insightful Genealogy Software Overview! I can see how a lot of folks may benefit from this great way to keep track of your family history. I often wondered about the old line “Careful What You Wish For”. Do you think when people trace their roots back they uncover things they would have rather not have known about or should all the truth just come out? An interesting thought you have brought up. Certainly there maybe skeletons in the closet that you may uncover. On the other hand I found out so many things that I did not know through researching my ancestry. It has been a pleasure to do and I am proud of what I have accomplished.